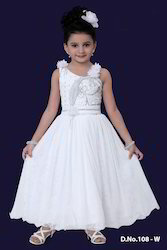 Leading Exporter of long kids gown, white kids long gown, fairy kids gown, kids fairy gown, white designer kids gown and white frocks for little girl from Mumbai. 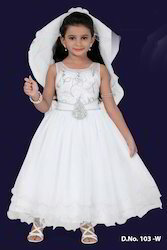 We offer Long Kids Gown that enhances the charisma and beauty of kids. The dress is elegantly designed and bears a royal look. 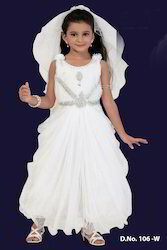 These Kids Long Gown we are offering are very elegant, stylish and lightweight designed for that very special occasion. 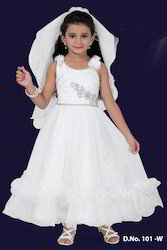 We are one of the leading of a superior quality of Long kids Gown. 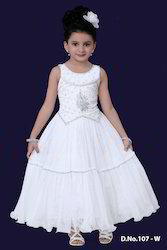 Our range of kids Gown are available in different sizes and designs and is highly acclaimed for its like colorfastness, neat stitching, inimitable embroidery and impeccable designs. 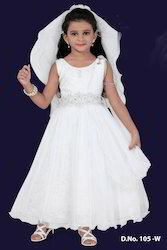 We are one of the leading of a superior quality of White Kids Long Gown. We are one of the leading of a superior quality of White Frocks. Our range of White Frocks are available in different sizes and designs and is highly acclaimed for its like colorfastness, neat stitching, inimitable embroidery and impeccable designs. Looking for Christmas Special Dresses ?